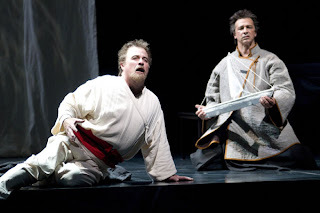 Today we get to know tenor Clifton Forbis, who was last with Seattle Opera for his turn as Tristan in 2010’s Tristan und Isolde. Now he’s the wrongfully-imprisoned Florestan in Fidelio, an opera he estimates he’s sung 10 productions of in the past 12 years. So he’s no stranger to Beethoven’s powerful music, and today we talk with him about the role’s challenges, how he prepares for it, and what he thinks of its timeless message. Forbis sings every performance of Fidelio, which runs from October 13-27, and there’s also an opportunity for Wagner and More! members to visit with Forbis and Education Director Sue Elliott at a special event on October 18, from 6-7:30 p.m. The two will discuss what it’s like to take on the challenging roles for which Forbis is known, and light hors d'oeuvres and beverages will be provided. WAM members can RSVP for this event by e-mailing WAM@seattleopera.org. Forbis will also be back in town at the end of the year, to sing Beethoven’s Ninth with the Seattle Symphony. So, word on the street is that this role—and, really, most of Fidelio—is practically unsingable. So, what do you find to be the most challenging aspect? Trying to find the legato line in the first piece and in the finale. It’s more written for the trumpet than it is the voice. Because of that, do you prepare for this role differently than you would others? Yes, I really do. In Wagner, for example, the legato is just innately there because of the music. Here, you have to create it through the way you treat the text. You have to use the text to create the narrative line with legato, as opposed to solely relying on the melody itself. You have to spin the voice a different way in order to accomplish that. So you kind of have to change the way you think about it. Annalena Persson (Isolde) and Clifton Forbis (Tristan) in Seattle Opera's 2010 production of Tristan und Isolde. How do you know if you’ve done a good job as Florestan? That’s a really hard question! Personally, I’m never satisfied with any performance I give, of any piece, because I know there is always the possibility to do it better, and always the possibility for discovery of new things. For me, if the audience is appreciative, I’m happy. I’m thrilled that I gave them something that they liked. If I have developed the character, if the audience feels the pain, and follows the story, and I’ve told it well, then I’m OK.
How do you get into the mindset to play extreme characters like Florestan, and Tristan? I honestly think that, aside from the vocal issue, there’s a reason you wait to do these roles until later on in your career, because you have to draw on life to sing them. And most young people don’t have a lot of grief and pain—now, I’m not saying that applies to everybody, but as you progress through your life, you see other people going through stuff, and you go through stuff yourself. You begin to experience things so that when you look at the music and the individual character you go, “Ah, I kind of understand this, I’ve seen that happen, I’ve watched people go through this, I’ve been through parts of these things.” You’re able to draw on this to help with the character. I think something that innately speaks to me as a singer is the tragedy that’s involved. I sing roles that I identify with emotionally, and if I can’t identify with it emotionally, then it’s not rewarding for me musically, either. What kind of man is Florestan? What’s his relationship with his wife? I think he and his wife are very much in love with each other—obviously so, because she goes to such extremes to find him. And his vision is of her; he calls her his angel. I think that his mental recollection of her is what sustains him down there, along with his conviction that he has done the right thing. I think he is a very principled man, I think he has a great deal of integrity, I think they probably are the kind of couple you’ll see at 80 years old walking down the street holding hands. Clifton Forbis (Tristan) and Greer Grimsley (Kurwenal) in Seattle Opera's 2010 production of Tristan und Isolde. 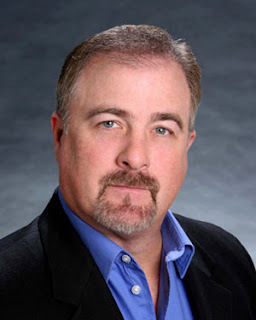 The two also sing in this upcoming production of Fidelio, with Grimsley as Don Pizarro. We don’t really know exactly what happened to land Florestan in prison. Does that even matter? It doesn’t really matter. To me, he’s an everyman. We’re all at some point squashed for what we think or what we believe, or we’re called out or ridiculed. General Director Speight Jenkins says one should always do Fidelio in contemporary dress. That goes pretty much hand in hand with what I was saying. It’s every man’s life, and how he responds to the adversity. Will he remain constant in his integrity even under persecution or ridicule? It’s done in contemporary dress because it’s a contemporary issue, all the time. It’s ever-present. 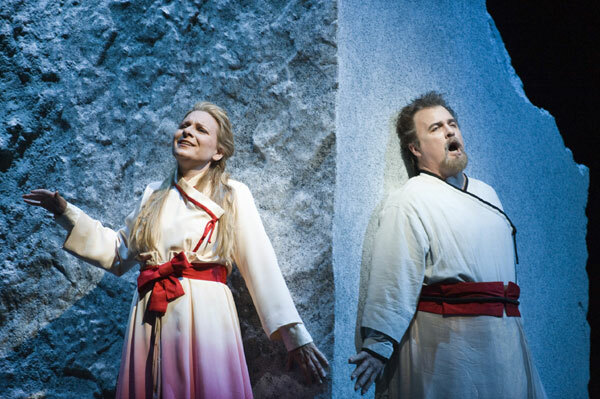 Below, hear a clip of Clifton Forbis from Seattle Opera's 2010 production of Tristan und Isolde.